Is this hot Wisconsin weather making you want to jump in a lake? You’d be surprised at the selection of lake property for sale all over Wisconsin – at affordable, yet rising prices. Coupled with low long term mortgage rates and we have a unique home buying situation you may want to consider jumping into now. Is it a home on the Wisconsin or Fox River? A cabin on a small inland lake such as Star Lake, Fox Lake or Fish Lake? A year ’round home on a large inland lake like Pewaukee Lake, Lake Mendota or a Chain lake up north? Cabin/Cottage, vacant land, single family home or condo? Under $200,000 or over $500,000 and up? Wisconsin offers it all. Take a search of your desired region of Wisconsin – or even desired lake if you use our lake search. See what’s available. And see how surprisingly affordable it can be to get into a house on the water in Wisconsin. You may spend a little longer searching than you expect… because it is fun to dream of a place on a lake or river and mull the possibilities and look at different areas of the state in different price ranges. 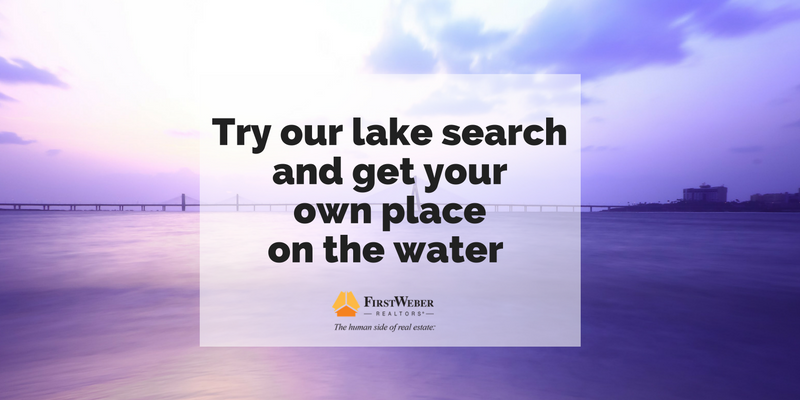 We invite you to have a little fun searching for lake property in Wisconsin at firstweber.com.